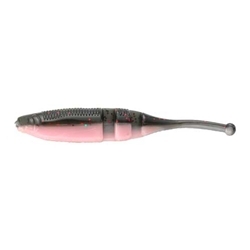 The newest addition to Lake Forks well known swimbait family of lures is the new "LIVE" BABY SHAD. This 2 1/4" micro swimbait is destined to be a classic. Its unique patent-pending design provides tremendous action from its combination of "swim slots" and a pintail to entice all types of gamefish, including largemouth bass, smallmouth bass, crappie and bream!